This sunflower theme kitchen towel has a large sunflower in the center. 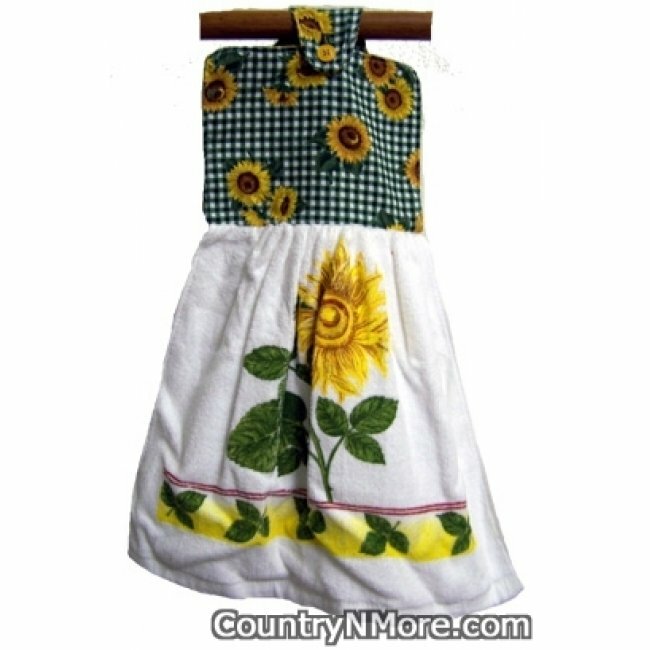 The top is made from green and white checked fabric with sunflowers.This towel is designed to hang over the oven door handle, and will be handy when you are to dry your hands. This is a great item for yourself, for a friend, or family member. Made with 1 full towel, rather than half towel used for other oven door towels sold elsewhere.